Before summer is over, glide your kayak through the cool waters surrounding Sequim. There are many possibilities to explore our gorgeous coastline. Any choice will have beautiful scenery and a chance to encounter wildlife. One of the best things about living in Sequim is the ability to enjoy mother nature throughout a good majority of the year. Summertime is definitely special, though, as evidenced by the sheer number of people who visit the Olympic Peninsula on a given summer weekend. Take advantage of our incredible summer weather in Sequim, and plan a kayaking adventure to top off your summer. You definitely won’t be disappointed. Sequim is a kayaker’s dream. 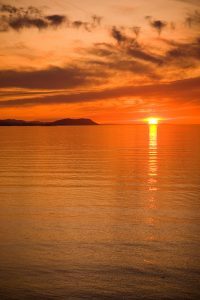 Depending on your relative experience, you can paddle in serene, sheltered bays, or head out to the Strait of Juan de Fuca to tour the Dungeness Spit. There are many options to create your own kayak excursion, but we have a few suggestions to get you started. Sequim and Discovery Bay are sheltered and peaceful kayaking locations. Launch within Sequim Bay at the John Wayne Marina or the Sequim Bay State Park. North of the bay there is a launch at Port Williams. The Travis Spit protects the entrance to the bay and leaves a narrow channel, so plan to ride the tides through it. Explore the bay’s historic landmarks and beautiful cliffs. When leaving the bay consult the tidal charts again, and ride the tide out. Then continue east to Discovery Bay. You will pass the wildlife refuge Protection Island, which is often an incredible place for some distant birdwatching. Violet Spit, on the east end of the island, is a popular sunbathing spot for harbor and elephant seals. Discovery Bay is larger and has 20 miles of shoreline. Since there is only one marina and public boat launch there is very little traffic, and you’ll feel like you have the entire bay to yourself. The Dungeness Spit is a must-see when kayaking in Sequim. Travel the windswept west side on the Strait of Juan de Fuca, and the sheltered east side harbor. Launch your kayak from the Cline Spit or Dungeness Landing. Explore the Dungeness Harbor and the Dungeness National Wildlife Refuge. This bird-watcher’s dream is the home to thousands of seabirds. Refer to the refuge’s map for permitted kayaking areas. After enjoying the harbor, head out to the Dungeness Bay and take in the views of the historic lighthouse. Once around to the west side, drift along the Strait of Juan de Fuca. As you pass the windswept beach, look for Bald Eagles perched on driftwood. Continuing down, the spit’s terrain changes to grassy bluffs where many seabirds live. Keep an eye out for orca whales, they also like to visit the pristine waters around Sequim. 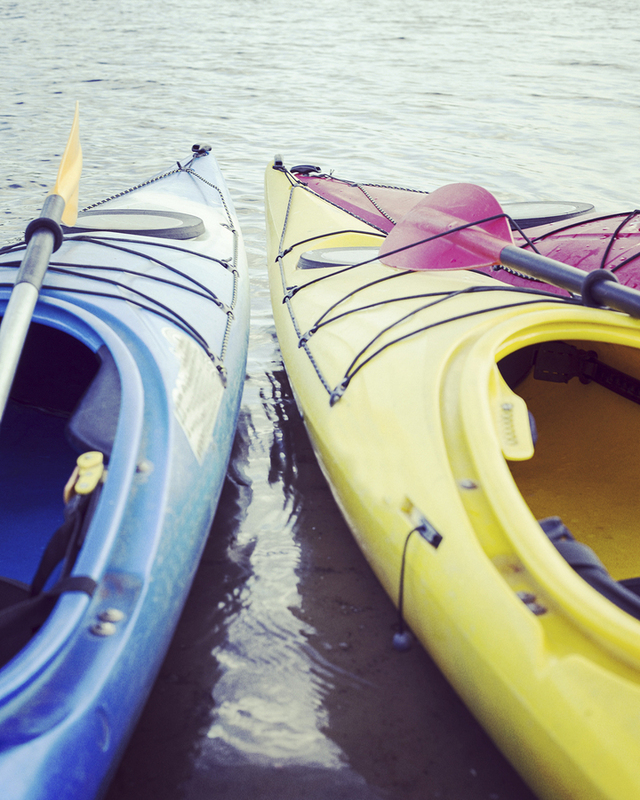 There are many resources to help you plan your next kayaking trip. The Washington State Park website has a list of safety guidelines, as well as local paddling groups. For example, the Olympic Peninsula Paddler’s Club holds meetings at Sequim’s public library. There are also several Kayak and paddleboard rental businesses that offer lessons and guided tours. GoXpeditions rents sit-on-top kayaks, extra wide paddleboards, and even pedal equipped kayaks and paddleboards. 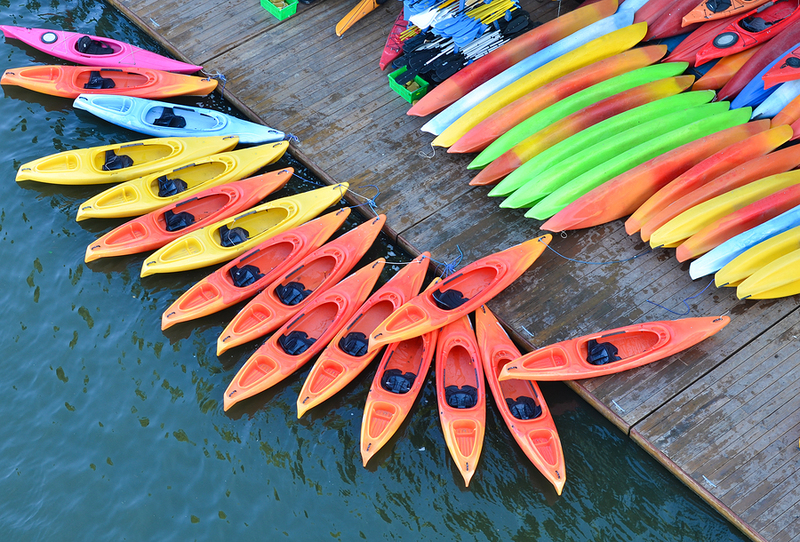 They also host paddle camps for kids where they can learn kayaking skills and safety. 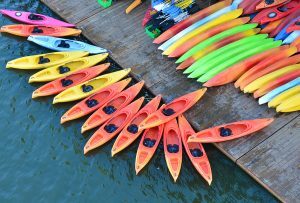 Given To Glide Paddle Sports sells new and used paddleboards, and their website is a great resource for paddling tips. Check out their extensive guide to traversing Sequim Bay that includes a custom map to help you navigate. Adventures Through Kayaking has guided tours designed for beginners and experts. Let them provide all the gear and planning, so you can focus on enjoying the adventure at hand. The beautiful waters around Sequim are a kayaking paradise. You can spend a lifetime exploring all the treasures found here, which is one of the many reasons so many paddlers call Sequim home. Come out for a visit and see if we have the perfect home for you and your kayak. Our experienced and dedicated Real Estate Agents will be more than happy to help you make this particular dream a reality!